This paper is based on a dialogue that summarises and responds to Workshop 08 of the Digital Agenda Assembly: Mainstreaming eLearning in National Policies, which took place on June 16th, 2011. It explores new ideas regarding how to make change happen by asking: do we have concrete ideas on how to introduce change in our educational systems? The workshop generated debate on issues related to both policy and practice in order to involve stakeholders from the educational sector in a discussion on the best strategies for improving learning environments. The Digital Agenda Assembly explored new ideas regarding how to make change happen in the educational system. At the eG8, Robert Murdoch recalled that education was a pending challenge for our already digital societies. However, the question remains: do we have concrete ideas about how to make changes in educational systems? Video is a great medium for learning to cook — whether it’s a specific dish or a cooking technique. Cookblast, “the web’s biggest aggregator of recipe videos”, conveniently gathers cooking videos from around the web and organises them by ingredients, dishes and cuisine. 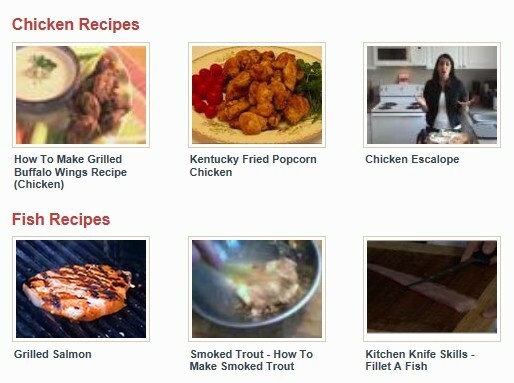 There are over 80,000 videos on Cookblast so far, but the site makes finding things to cook pretty easy, since there are a lot of filters you can apply to the recipe videos (e.g. 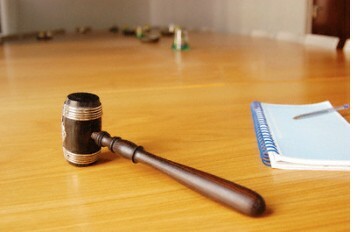 equipment used). One of the most helpful sections of the site is the techniques videos, where you can learn how to boil, parboil, sear, double cook and more. Cookblast launched in July 2010 with the goal of being the web's biggest and best search engine for cooking how to and recipe videos. We currently feature over 80,000 cooking and recipe videos, making Cookblast the web's biggest cooking video library. We aim to help every cooking enthusiast to improve their skills - from learning a new recipe, to mastering a new technique. Meris Stansbury, Associate Editor writes,"Curriki.org now offers more than 43,000 learning assets contributed by educators and available under the Creative Commons license. Users can search for materials by subject or grade level, and they can see how a Curriki review committee and members of the Curriki community have rated each learning asset, with the top-rated assets appearing at the top of a search query." At the annual International Society for Technology in Education (ISTE) conference in Philadelphia this week, Curriki announced a Video Lesson Plan Challenge. Teachers are encouraged to submit their best lesson plan ideas that involve the use of video, and a panel of experts will evaluate these and choose several finalists. The 187,000 members of the Curriki community then will vote on their favorites. The grand-prize winner will receive $5,000, and there will be prizes for the second through fourth-place winners as well. The organization’s goal is to highlight exemplary uses of video in engaging students. In just three years, the number of high school students who have access to online learning has tripled, while twice as many middle school students are now learning online according to a survey report from Project Tomorrow® and Blackboard Inc. (Nasdaq: BBBB). More than 40 percent of students now designate online classes as an essential component of their learning experience with administrators and parents also becoming more supportive of this vision. In two years' time, 39 percent more administrators and five times as many parents incorporate online classes into their vision for the ultimate school. 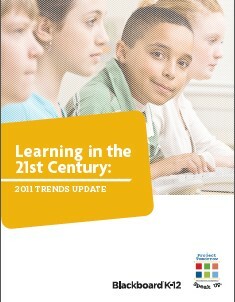 The findings are included in the report, Learning in the 21st Century: 2011 Trends Update, an analysis prepared by Blackboard and Project Tomorrow using data from Project Tomorrow's annual Speak Up National Research Project. The 2010 Speak Up surveys captured views on online education and 21st century learning from more than 379,000 U.S. K-12 students, parents, educators and college students enrolled in teacher preparation programs. What is propelling this new level of interest and excitement around online learning? What are the most effective motivators to increase the pool of teachers who want to teacher online? Most people don't think of colleges as litigious or important in the legal world, but the fact is that important court cases sometimes find their start in colleges. From affirmative action to the Fourteenth Amendment, colleges have had their part in major court case decisions in history. Here, we'll take a look at 10 of the most important ones that made it all the way to the Supreme Court. Dartmouth College v. Woodward: Dartmouth College v. Woodward considered whether a state legislature could change the charter of a college. The case determined whether Dartmouth would stay private or be forced to become a state school, changing the duties of the trustees and how they were selected. The court sided with Dartmouth, allowing the school to continue as a private college, as the school's original charter was a contract between the King of England and the trustees of Dartmouth. Online College is your one-stop source for going back to school. If you want to change your career or advance your current one, online college may be the best, most convenient option for you. Read through our site to learn all you need to know about online college admissions, accreditation, student loans and aid, and more. We’ve selected the top online colleges so you can be sure you’re getting a high-quality education for your tuition dollar. Read through our Online College blog to find out what it takes to excel in college and your career. Stay on top of higher education news with our up-to-date and insightful articles. We provide the tips and tools you need to earn a degree and and gain a valuable, real-world education. Let our team of experts help you find the best college path for your career goals. As PC enthusiasts we spend much of our lives finding new and exciting ways to work the technology we love into every facet of our lives. We pay our bills, play games, keep in touch with loved ones, and do business from our computers. 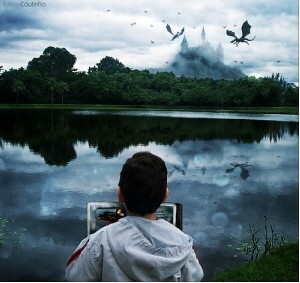 They are our hobby, our obsession, our passion. As computer enthusiasts, we are not strangers to using our interest and knowledge of tech for the benefit of others. The Internet is filled with user-created and supported software that are available to all, regardless of financial need or experience level. Some of us provide education and guidance to others through forums and knowledge base sites. 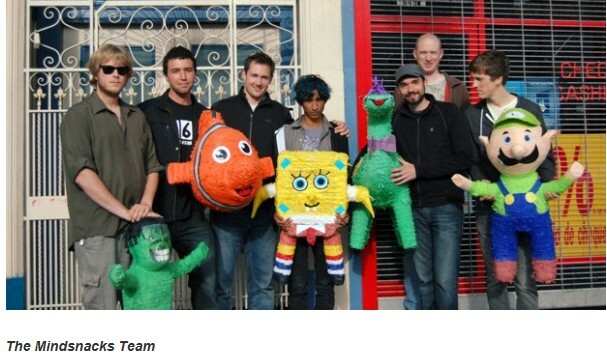 We donate our old or extra hardware to groups or individuals in need. Among us are the heroes who use a mouse and keyboard at work to fill invoices and write programs, then come home to don superhero capes and use these same tools to provide education, inspiration, and creative outlets for others. Below are just some of the many who have gone above and beyond to use their love of computers and technology to improve the lives of others. In the next three years, the number of smart phone users is expected to exceed the one billion mark worldwide. The world has become a mobile environment, and the expectations of what cell phones can do in people’s daily lives has barely been realized. A group of young visionaries have decided to tap into the wide network of mobile technology to create mobile learning games with their company, MindSnacks. The goal of Mindsnacks and its founder, Jesse Pickard, is to build fun and educational games that will change the way people learn. "The idea came about as I was going to a Spanish tutor in NYC as I prepared for a trip to South America. Every week I would struggle to find an hour of uninterrupted time for my lesson. One day I looked around on the subway and I saw everyone glued to their phones playing casual games. I knew then that there was an opportunity to mix casual mobile gaming with language learning. At that point, I talked with a few of my future co-founders and they also struggled with the traditional methods of learning a language. MindSnacks started soon after that." Blackboard Inc. (Nasdaq: BBBB) today announced that the University of Liverpool has selected Blackboard Mobile Central and Blackboard Mobile Learn, mobile applications that bring the campus experience and two-way teaching and learning to smartphones and other web-enabled devices. The initiative will help the institution further enhance the student experience and deliver more personalized learning. 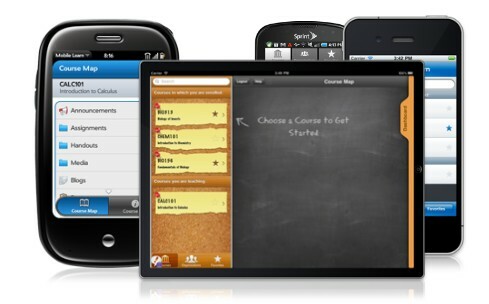 The Blackboard Mobile Central application enables on-demand access to vital campus information, enabling users to navigate interactive campus maps, access course catalogs, event calendars and news and use a directory to call or email instructors and classmates directly from the app. The Blackboard Mobile Learn solution allows students and faculty to access and upload course content, check grades and assignments, create threaded discussion posts, email their classmates and instructors, comment on blogs and more. For more information about the University of Liverpool, please visit http://www.liv.ac.uk. About The University of Liverpool. The University of Liverpool is a member of the Russell Group of leading research-intensive institutions in the UK. It attracts collaborative and contract research commissions from a wide range of national and international organisations valued at more than £110 million annually. In 2004, the Dental School, University of Maryland, Baltimore envisioned a school offering state-of-the-art technology with lecture capture at its core. Students would have access to course content 24/7, and a newly-launched distance-ed program in dental hygiene would thrive with online lectures. After an extensive evaluation they selected Mediasite for their endeavor and off they went webcasting every lecture and lab session from that point forward. Now with five-thousand captures, half a million views and several years of student surveys compiled, Dr. James Craig, professor and educational consultant from the Dental School, is ready to share some real results that prove lecture capture has transformed the student experience. What was the most important "buy in" to get faculty on board with recording lectures? What impact does lecture capture have on student satisfaction? How does lecture capture impact student outcomes, attendance and program completion? How did lecture capture become a vital tool for successful board-exam preparation? How do you know when it's time to delete a lecture? How has Mediasite helped the Dental School's public relations efforts? Jenna Zwang, Assistant Editor writes, "Today's story features the latest STAR (School Technology Action Report), "The Science of Learning: How Current Brain Research Can Improve Education." 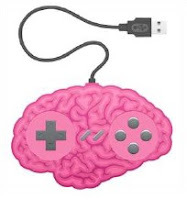 In it, the editors of eSchool Media highlight cutting-edge research from leading neuroscience experts on how various activities affect the brain, and how these activities can help students improve their comprehension and memory." From understanding how multimedia and physical exercise can affect classroom instruction, to appreciating the influence of art and reading on brain development, to taking the first steps in realizing the mind mechanics of autism, researchers know more today than ever before on what techniques can have the biggest impact on teaching and learning. Emma Taylor has been in touch to remind us about this recent published article below. Over the summer, students spend time relaxing, vacationing, and having fun, while the knowledge they learned in the school year slips right out from underneath them. This break from learning, and subsequent learning loss, is known as the "summer slide," and over time, can add up to years of lost learning and productivity at the start of each school year. It’s a serious problem, but there’s an easy way to fix it — learning over the summer. Summer learning can be fun and creative, and fit right in with your vacation plans. Read on to learn about 50 ways to fight brain drain over the summer. With a number of news stories lately about kids under 13 on Facebook (violating the social network’s terms of service), you’d think there weren’t any other social networking sites that were geared for kids or where kids wanted to be. But clearly that’s hardly the case, and there are many social networks, gaming sites and virtual worlds aimed at the under 13 set: Club Penguin, Whyville, and Webkinz to name just a few. (Here’s a list of eight social media sites just for kids. ).